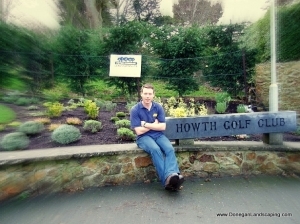 I was having a rummage through some old images of plants for a little garden research last week when I stumbled across these pictures taken during my time landscaping at Howth Golf Club. Their date stamp tells me they were taken January 22nd, 2004. Timeline-wise, I would have just completed my 2nd year in business as Donegan Landscaping and was still but 27 years of age. 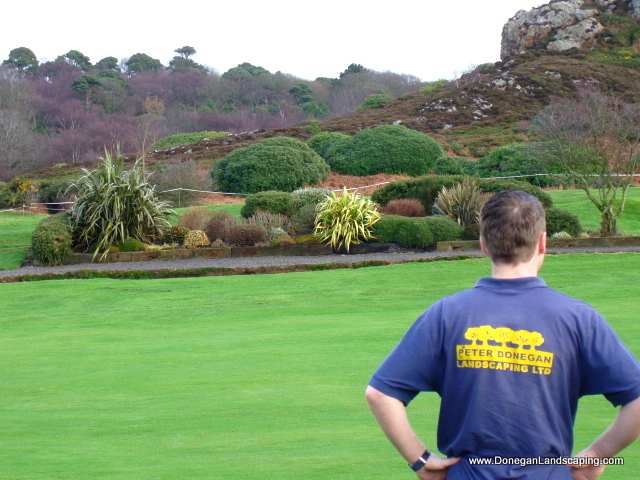 If memory serves me right, I believe my time spent working on the grounds there would have been done over a two/ three-year period. 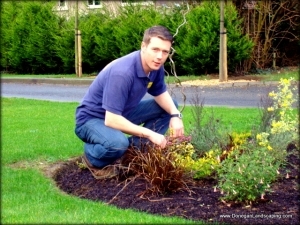 And for a wee young cherub of the Irish landscaping scene at that time, to have an established and very respected name employ me to work on their front of house, was only ever a good thing to happen to me. As I remember it, I needed some images for an article in The Irish Entrepreneur Magazine [March 2004] and a lot of calling around eventually found me one person I knew who knew owned a digital camera. Almost ten years on, it makes me smile every time I drive past the what was very new at the time planting to see how it and the now established avenue of Tilia cordata Greenspire trees that I planted have evolved. 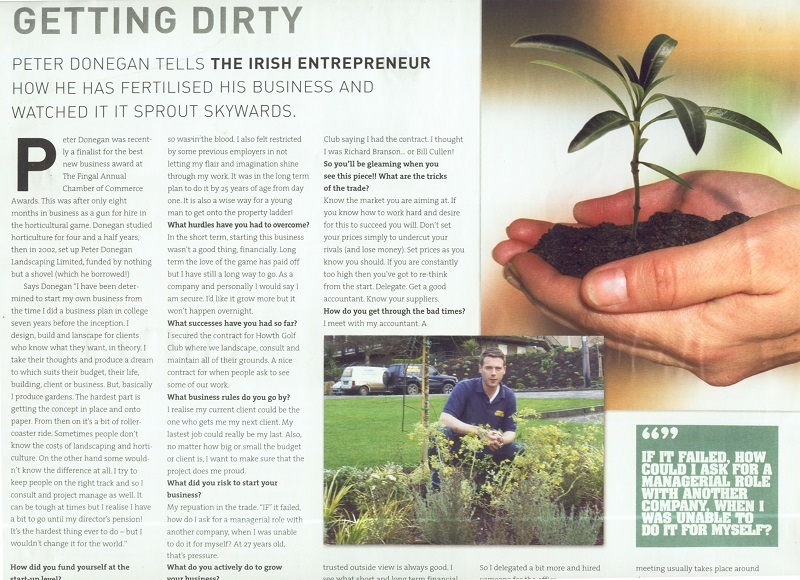 Regarding the article in The Irish Entrepreneur magazine article, the first ever piece written about me, I found this scanned in section of it; the print version of which hangs framed in my bathroom to this day. Back Garden Revisit. Howth, Co. Dublin.